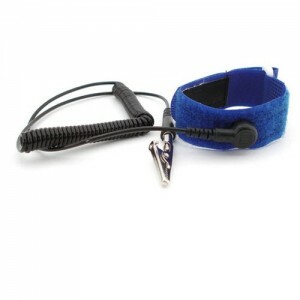 Hook and Loop adjustable wrist strap sets are available with a 6′ or 12’ standard coil cord design. The 1″ wide material has a insulating outer area and a 3/4″ conductive area on the inside. The D-ring style latching system adjusts to fit any size. This low cost system is available with either a 4mm of 7mm stud.